I woke up this morning in Killybegs and the harbour had emptied, with the fishing fleet clearing off overnight. I spent the first hour having a mooch about and couldn't find yesterday's Bonaparte's Gull (though it was successfully twitched later). 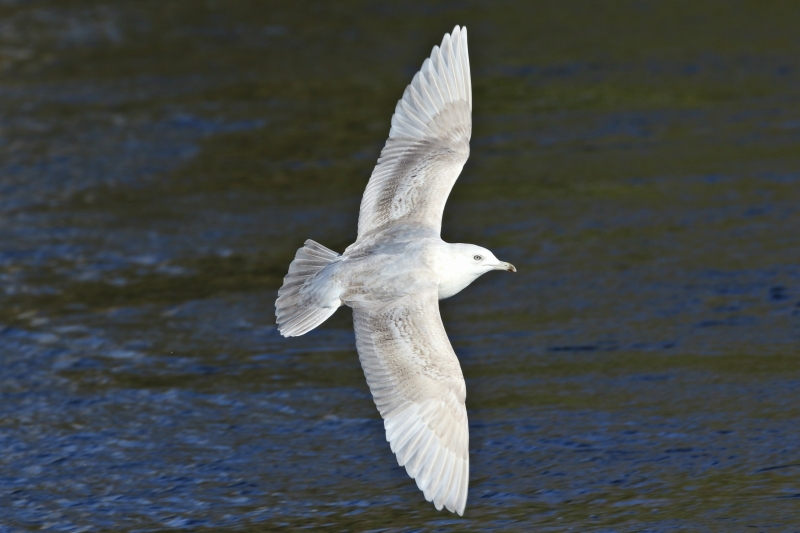 Just four Glaucous Gulls, including the regular adult, and five Iceland Gulls. 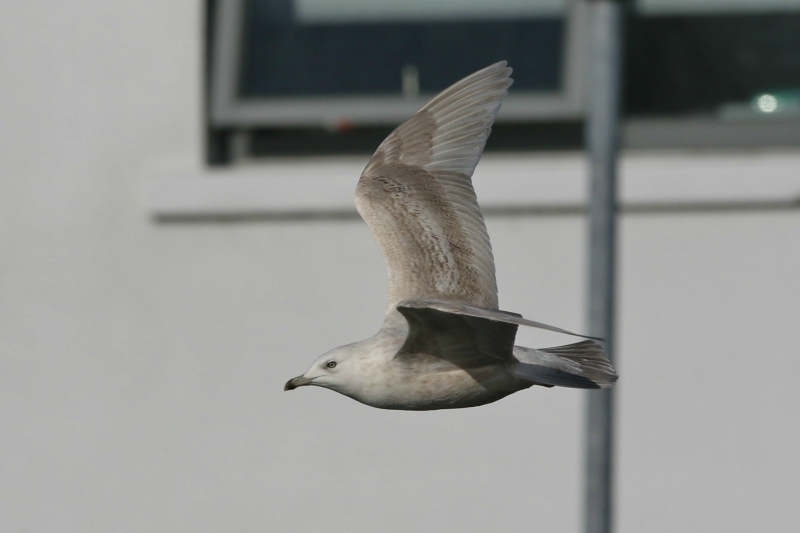 And so I headed off from this white winger haven, with the first stop predictably Donegal town where two juvenile Iceland Gulls were present - two of the three seen there on Sunday. The next few stops were really unproductive, as they always are! Whenever I am up in Donegal Bay, I always try and have a look at the seaduck but always fail due to the blustery conditions. And today was the same with little of note at Rossknowlagh, Bundoran and Mullaghmore. Next time perhaps. 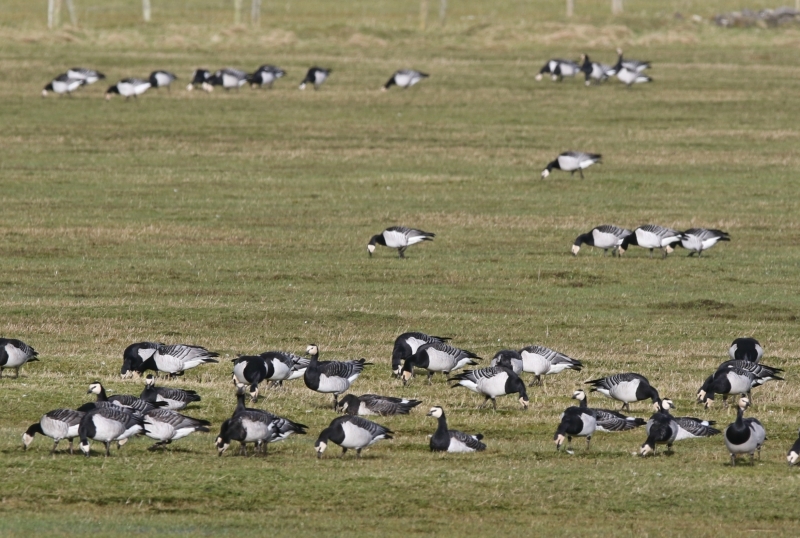 An hour or so of scanning the thousands of Barnacle Geese in the Raghly/Lissadell area, just north of Sligo, again didn't reveal anything of note. It seems like it has been a poor winter for Small Canada Geese, and so it wasn't a major surprise to leave empty handed. 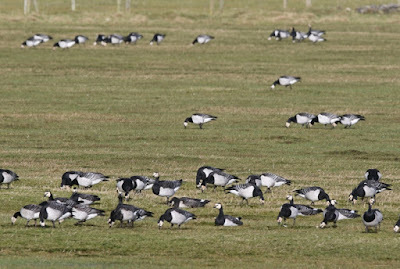 Barnacle Geese though are one of my favourites. I then spent a couple of hours in Sligo town, a place again I've been to on several trips previously. For love nor money, I couldn't reel in the Ring-billed Gull at Doorly Park for some reason - thought it would be a banker, but obviously not! 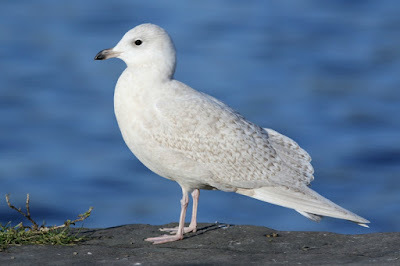 It was nice though to see three Iceland Gulls, two second-winters and a juvenile. 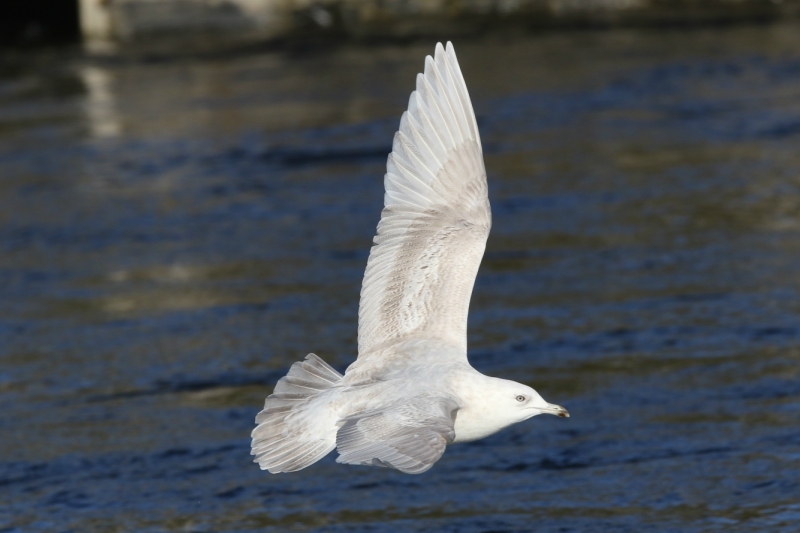 One of the second-winters had an obvious tail band while some of the photos seeming to show brown in the wing, though seeing it in bright sunshine really wasn't constructive at all. It was this bird though, reported as a Kumlien's Gull here and here. A couple of photos to illustrate how light and background changes things. And a nice showy juvenile Iceland Gull couldn't have been any more obliging at Quay Street car park.